Set up in association with 4 northern based enduro clubs, RAW ENDURO, DIRTBIKEACTION, and ECCOSE XC and NEXC, the championship will be running 10 rounds with 8 to count. The rounds will be across the region of the best hand picked enduro tracks available, to give a wide range of variety of terrain for young riders to come together to ride, compete in, make friends and have fun. The series’s aim is to collectively bring together a championship that will not only have the best young enduro riders competing against other talented young riders, but to also make the enduro youth scene more accessible to new young riders from the beginner, to the Mx rider/trial rider, to the non parent rider whose kids would love to join in but don’t know where to start. With 25 youth riders already signed up to the championship within the first 24 hours they are well on thier way to bringing a championship that will guarantee competition for honours, but more importantly generate a whole lot of fun for the riders and their families. 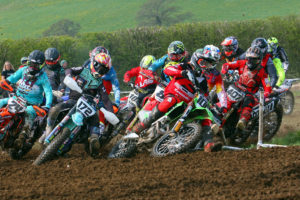 If you would like to find out more about the championship and get involved please don’t hesitate to contact the organisers via their facebook page https://www.facebook.com/northernyouthenduro/ for further details of the championship or follow us to keep updated with events , practice days , and progress reports. The series dates are as follows..